I know I should own a drill....and a power saw, and other various other power tools too, but I don't. I do own one of these, and it's been a LIFESAVER. 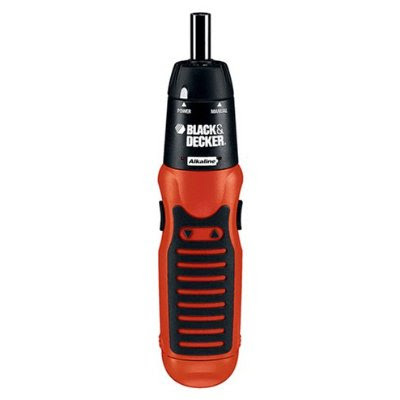 Seriously...if you are still trying to use a regular screwdriver you need to put it down NOW and run out and buy one of these. I've used it for everything from putting up curtain rods to assembling a treadmill. They're $15 on Amazon, and available many other places as well. I also recently discovered a great solution to installing wall anchors if your don't have a drill. Self-screwing wall anchors. They are AWESOME!...you know...if you can really get excited about wall anchors...which apparently I can. I've used the metal E-Z Anchor brand from Lowes or Home Depot, but I'm sure there are others out there. You just screw them in the wall (with your handy little battery operated screwdriver) and then screw the actual screw in the middle. Life changing I tell ya. I'm off to Vegas for a couple days for work. Have a great week! LOVE power tools. LOVE my battery powered screwdriver. And I LOVE those wall anchors. They are the only kind that have ever really worked for me. And believe me, I've tried them all. I actually use my husbands very powerful screwdriver/flashlight/handsaw/whatever. I have an ongoing love affair with power tools since my Daddy gave me one of them each year on my birthday and occasionally for Christmas. It used to crack my husband up. Great idea! I have been using my husband's power drill, but I could really use one of those. It doesn't look so big and heavy. I thinkin' I might ask for some new tools for Mother's Day! How scary is that? Woman, you don't have a drill??? Well, this kinda counts. ;) I have two drills and have still almost bought this one. 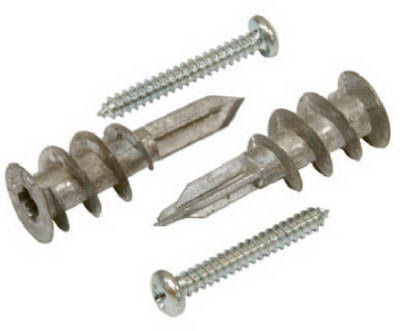 I ONLY use the screw in anchors, they are so easy! Ha! Okay...I know I need to buy a drill. I promise it's on my list. I really want some sort of power saw and nail gun too. Oh man...I could go crazy! Hey, maybe I should be like you gals and ask for power tools for my birthday and Mother's Day...hmmm. I posted about these last Tuesday...talk about a LIFESAVER!!! I used some of thes wall anchor things not that long ago to put up a floating shelf - they're great hey? I love the way you just casually say "I'm off to Vegas" - that sounds so glamourous to me sitting here on the other side of the world! I hope it's not all work and no play. I love those anchors - my hubby says my favorite thing to do is put holes in our walls! I got that exact electric screwdriver for Christmas! LOVE it! I use some wall anchors that are blue, hard plastic, and you hammer them in, then screw the screws into them. I love 'em! Luckily my husband has a power drill, so I always have one on hand! That sounded kinda bad...but I didn't mean it that way! I have a power drill, but I'd rather use that little thing because it's little & not ridiculously heavy! I've used the plastic anchors that look just like those metal ones, but they have a tendency to break while they are going in. The metal ones sound so much better! What a pretty blog you have! I'm saving you in my Bloglines. Loved the post about copying Ballards. It's one of my favorite inspiration catalogs too.